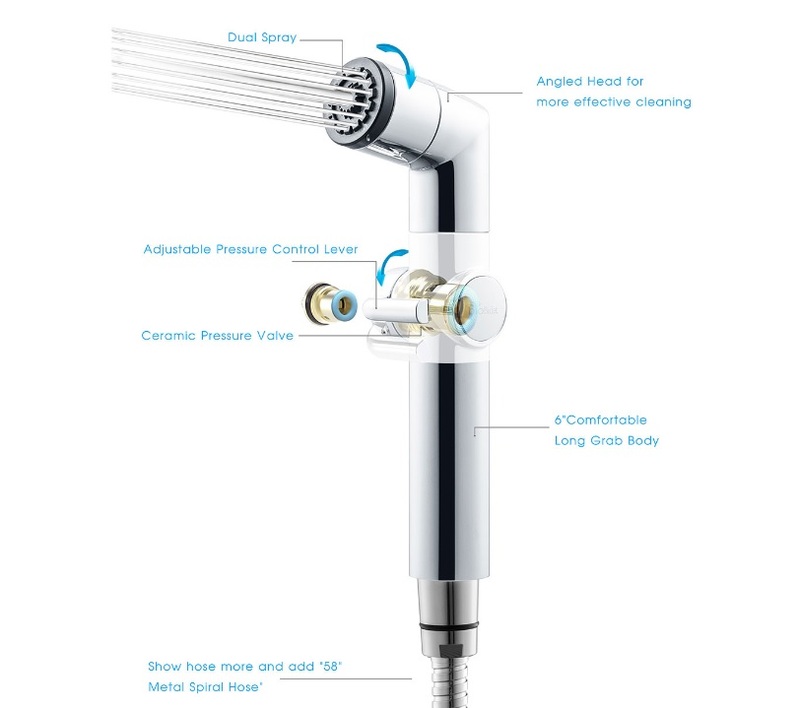 The Bio Bidet A1 Hand Held is a manually operated bidet sprayer attachment that offers a simple and effective option for cleaning with water after use of the bathroom. This style of hand held sprayer, or shattaf as it is also called, is a cold water bidet sprayer that connects to the water line that attaches to your toilet tank. The A1 Hand Held is a non-electric attachment that is powered by water pressure, so no electric outlet or batteries are required. The sprayer fits comfortably in one hand and it uses an easy to use lever to initiate the spray. The water pressure can be adjusted manually by how much you raise or lower the lever. The T-valve connection splits the water line at your toilet tank is equipped with a shut off valve to prevent against water leaks. There are two spray settings - a single stream or a wide shower spray - which can be adjusted simply by turning the head of the spray nozzle. The A1 Hand Held also includes a stainless steel spiral hose and a holster which can be attached to the wall or hung from the side of the toilet tank.